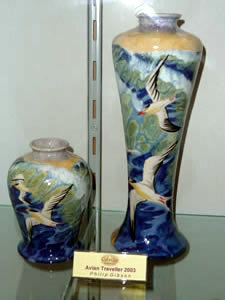 Staffordshire pottery is pottery that is produced in the Staffordshire potteries area of the United Kingdom. This area is in the Midlands - the potteries used to centre around six separate towns (Burslem, Fenton, Hanley, Longton, Stoke and Tunstall) which are now Stoke on Trent. The area really came into focus as the powerhouse of pottery production in the UK and indeed in the world in the 1700-1800s but, the truth is, that this has been a significant pottery producing area for centuries. 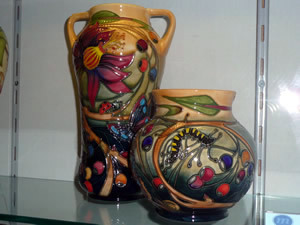 Staffordshire has plenty of clay, lead, salt and coal in the area which made it a perfect place for pottery production. In early days potters would simply dig clay up from roads which is thought to have led to the term ‘potholes’! It was quite common for farmers to make pottery at this stage - the land was not good enough for them to make enough money from farming so many worked as potters as a sideline. Gradually many of the farmers moved into full-time pottery production. 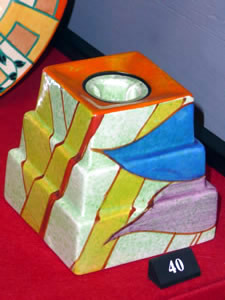 Many of the world’s innovations in pottery production either happened or were brought to general attention in the Potteries. 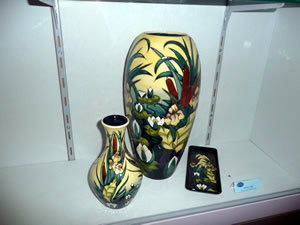 In the 1600s, for example, salt glazing and saggars were used by local potters but there is evidence that potters were working from much earlier than this. 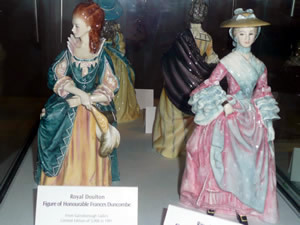 For example, excavations in Burslem found examples of pottery from the 1400s. 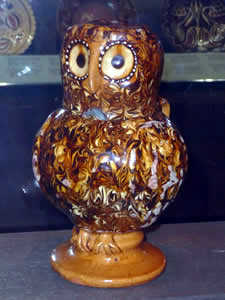 Burslem was actually the centre of butter pot production in the 17th century. 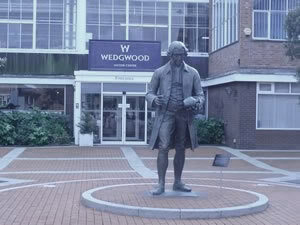 In the 1700s the area saw the innovation of grinding flint in water and one of the most famous figures in the area - Josiah Wedgwood - was born and started work in the family pottery where he created his famous Queensware line. Spode also came into the picture here - he was famous for bringing bone china to the market. 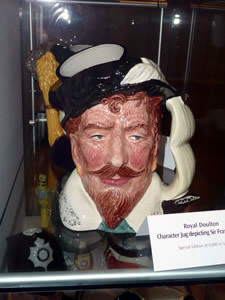 This century also saw local potters use transfers to decorate their products and the opening of better roads and canals in the region allowed potters to transport in raw materials from around the country and to ship out goods more easily. 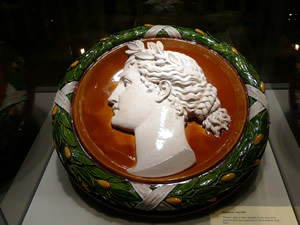 Local potters began to favour using clays from farther afield (the local clay was red and potters wanted white china clay) and started to bring it in from Dorset, Devon and Cornwall. Although global market drivers have seen much of the pottery industry move abroad, Staffordshire pottery is still made in the area and the sector is still a significant employer, exporting table china, tiles and sanitary ware all over the globe.